Kremlin's spokesman claims that Boris Berezovsky, who died in Britain on Saturday, wrote a letter to Russian President Vladimir Putin before death, apologized for "very many mistakes" and asked the president to help him return to Russia. Boris Berezovsky, who died in Britain on Saturday, wrote a letter to Russian President Vladimir Putin a while ago, apologizing for "very many mistakes" and asking the head of state to help him return to Russia, Putin's spokesman said. "A while ago, maybe a couple of months, Berezovsky sent Vladimir Putin a letter that he had written himself and in which he admitted committing very many mistakes, and asked Putin to forgive him for those mistakes and to help him return to his country," Dmitry Peskov told Russia's Rossiya 24 television. "I don't know about any reaction on the part of Vladimir Putin to the news of Berezovsky's death," Peskov said. "But one can say that news of anyone's death, no matter what kind of person they were, cannot arouse any positive emotions." Russian tycoon Boris Berezovsky died "suddenly" in Britain on Saturday, a member of his family said earlier. Meanwhile, one of his lawyers claimed he had taken his life. 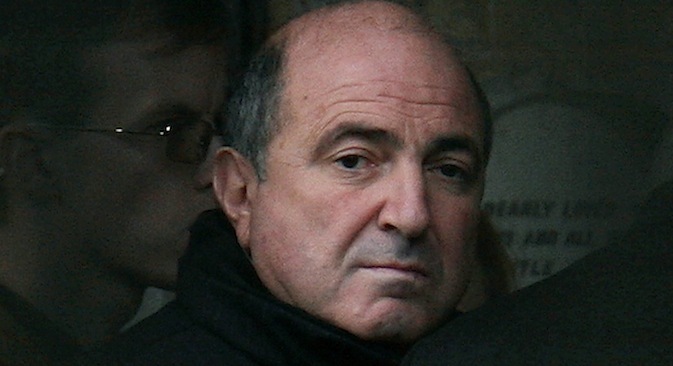 "Boris Berezovsky died suddenly at 11:00 [GMT] in London. At the moment there are coroners at his home," the family member told Interfax. Berezovsky's Moscow-based lawyer Alexander Dobrovinsky confirmed the oligarch's death. "I had a call from London and was told about it," Dobrovinsky told Interfax, declining to share any details such as who found Berezovsky's body and where it was found. "Half an hour ago I had a call from London and was told that Berezovsky had committed suicide," Dobroviksy said in a program on Russia's Rossiya 24 television. "[Berezovsky] had recently been in a terrible, dreadful state - nothing but debts, he was practically broke, he was selling paintings and something else," the lawyer said. "Moreover, the death of [former business partner] Badri Patarkatsishvili was a horrific blow to Berezovsky. I also know from some of our mutual acquaintances that the other day he asked them for $5,000 for a ticket in order to go away somewhere." Earlier, Berezovsky's death was reported on some Russian websites that cited a Facebook entry by his son-in-law Yegor Shuppe. Journalist Natalya Gevorkyan confirmed that Berezovsky was dead to the Ekho Moskvy (Echo of Moscow) radio. Berezovsky, who has lived in Britain since 2000, has been accused of numerous crimes in Russia and received an in absentia prison sentence.